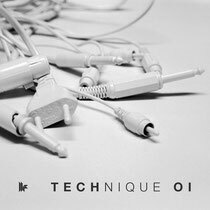 Well-known as one of the labels that has championed, guided and developed the genre, Toolroom Records recently released ‘Technique’; their first flagship tech house concept album showcasing the cream of the scene’s talent with an 100% exclusive tracklist. Featuring music from longstanding stars of the scene such as Paolo Mojo’s ‘China Doll’, Filthy Rich’s ‘It Was’ and ‘Holder’ from Koen Groeneveld, the album also brings to the fore productions from fresh talent with Jon Kong and Chris Aidy’s ‘Girl I Knew’, Long and Harris’ ‘It Comes From The Soul’, Matt Smallwood’s ‘Sweet Spot’ and many more. The album contains 15 full-length DJ-friendly productions, have a listen below. I will immediately grasp your rss as I can't find your e-mail subscription hyperlink or e-newsletter service. Do you have any? Please permit me realize in order that I may subscribe. Thanks. Someone necessarily lend a hand to make seriously posts I'd state. This is the very first time I frequented your website page and to this point? I surprised with the analysis you made to make this particular publish incredible. Excellent job!